Kids are always attracted by junk food. My boys and nieces wanted to go to Mc Donald’s to gobble some burgers. 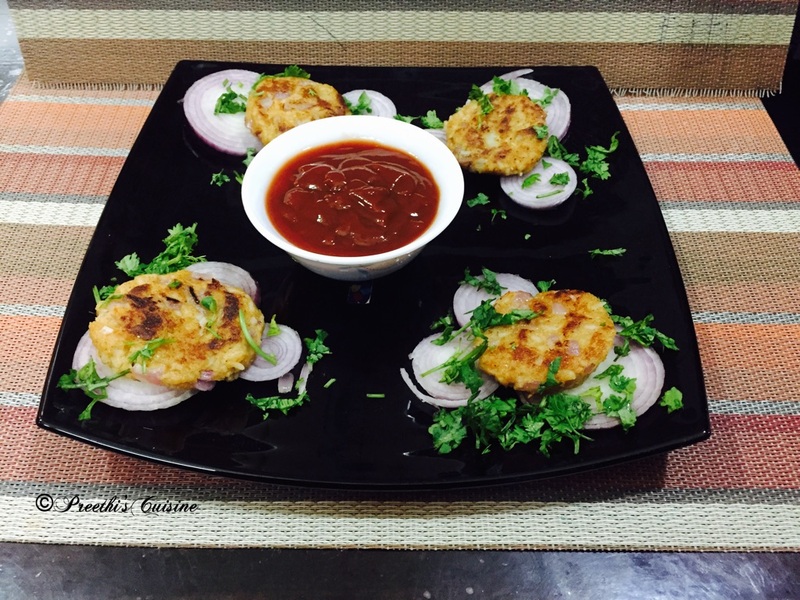 I did not want them to have the junk food and just to make them have something healthy I made these yummy Tikkis that is so easy and quick to make. Kiddos just loved it and were happy to have home made Tikkis instead of Burgers. Mash Potatoes and Rice well. Ensure there are no lumps. 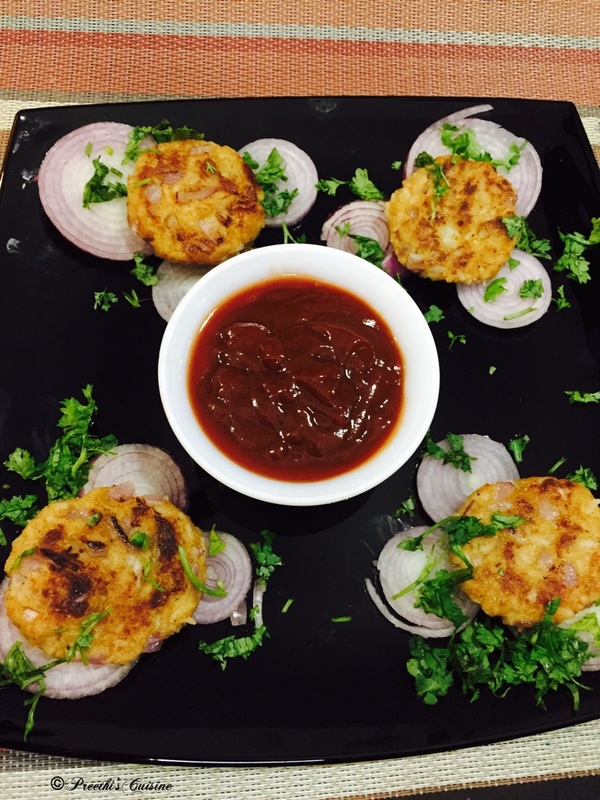 Mix all the ingredients, shape them into round Tikkis and shallow fry on the Hot Plate. Ensure to shallow fry on both sides of the Tikkis. Serve hot with Chilli Sauce or green chutney.